Dine alfresco in the gazebo! 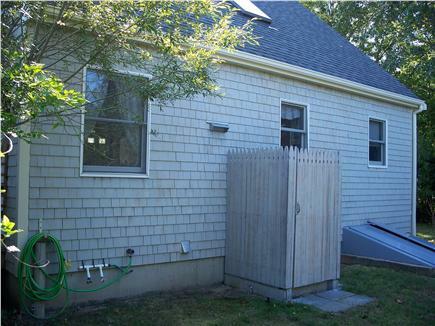 Classic 3 bedroom, 1 1/2 bath cape, walking distance to all town activities and beach. 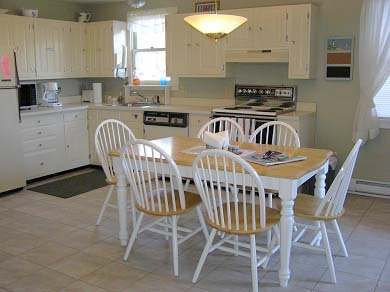 Fully equipped kitchen is open to living room and sunny family room. 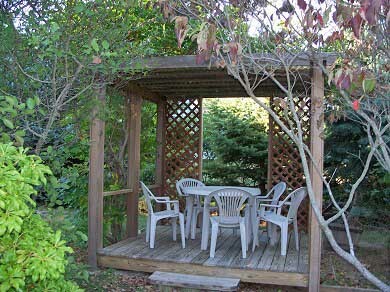 Large back yard has deck with detached gazebo surrounded by beautiful landscaping and grape vine bordered circular driveway. Major credit cards accepted. Check in and out day may be flexible. Additional pricing info: Discount available for multiple weeks, State and local taxes of 11.7% will apply. My family and I really enjoyed our stay at this home. 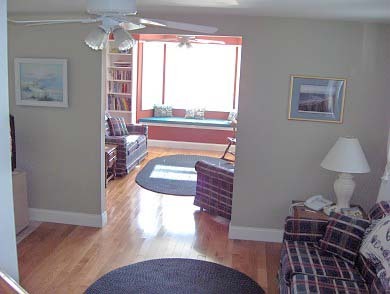 It was spacious, clean and walking distance to downtown Oaks Bluff and the beach. The owner of the house is also very pleasant and accommodating. I would definitely recommend this home to anyone who's looking for a great vacation experience. What a wonderful surprise! 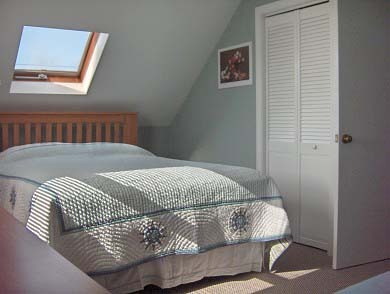 Roomy, airy and very well maintained. Close to everything, whether walking or driving. Owner very accessible and accommodating. Would definitely return to this property. This is a wonderful rental. It has a nice, open floor plan. It's clean, in good repair and not moldy. 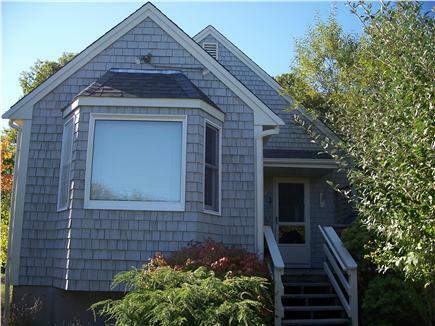 It's right down the street from the new Oak Bluffs Library and within walking distance to Circuit Ave. Niantic Park is also not far. The grill is right outside the front door and best of all the beds are VERY comfortable. We've been renting homes in OB for years and my wife instructed me to book this place moving forward. Thank you, Bill. We're definitely coming back!" We just got back from a 2 week stay at the Vineyard. The location of the house was within walking distance to everything. My family and I enjoyed walking through the gingerbread houses on our way to get our coffee in the morning. The house was very clean unlike some other rentals we have experienced. We also enjoyed eating outdoors. The house was big enough for our family of 5 as well as for family that came to visit!! Thanx Bill, we look forward to renting again next year! 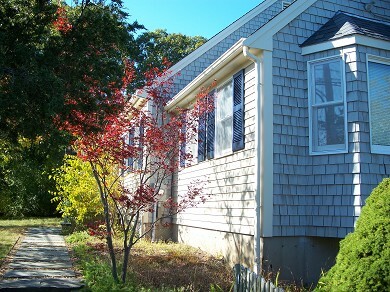 "This vacation house is in a great location closed to Oak Bluffs downtown where you can walk the shops and the docks. 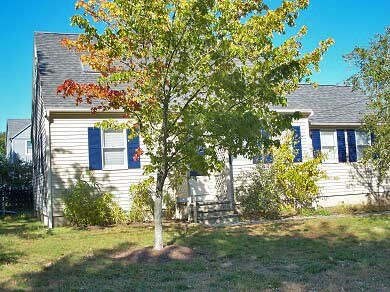 The house is quaint and clean and a perfect size for a couple of families with children. The outdoor shower and gazebo were great outside and the yard was big enough for the kids to play. Overall, a great experience."